Did you know July is National Ice Cream month AND today is National Ice Cream day??? Happy Sunday to me!! In honor of this very serious holiday, I wanted to share my favorite sorbet recipe for all the non-dairy people out there–and the dairy eaters too 🙂 Without further ado, Melon Basil Sorbet. And don’t be scared of making frozen treats–it’s easier than you think! Rinse the basil and pat dry. 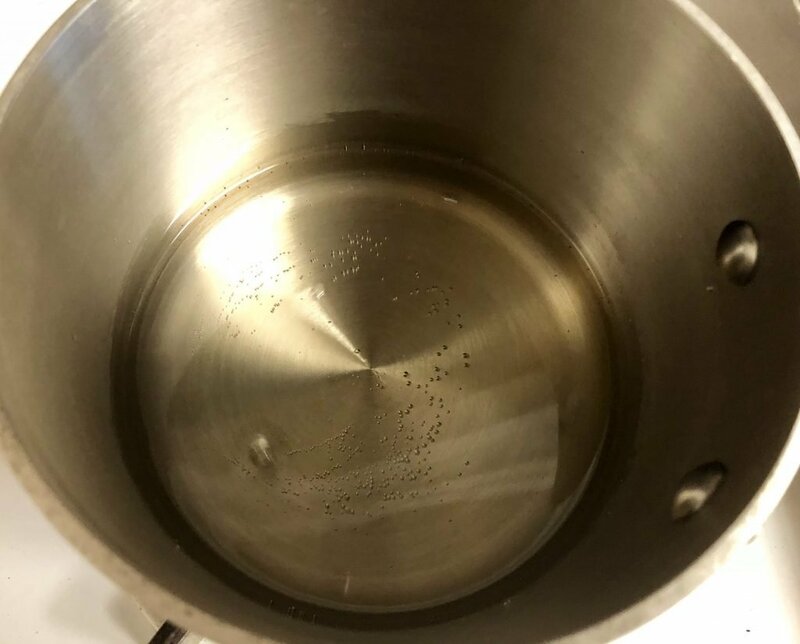 In a small pot, bring the water to a boil. Add the sugar and whisk until the sugar has dissolved. Add the basil and let the mixture boil for 1 minute. 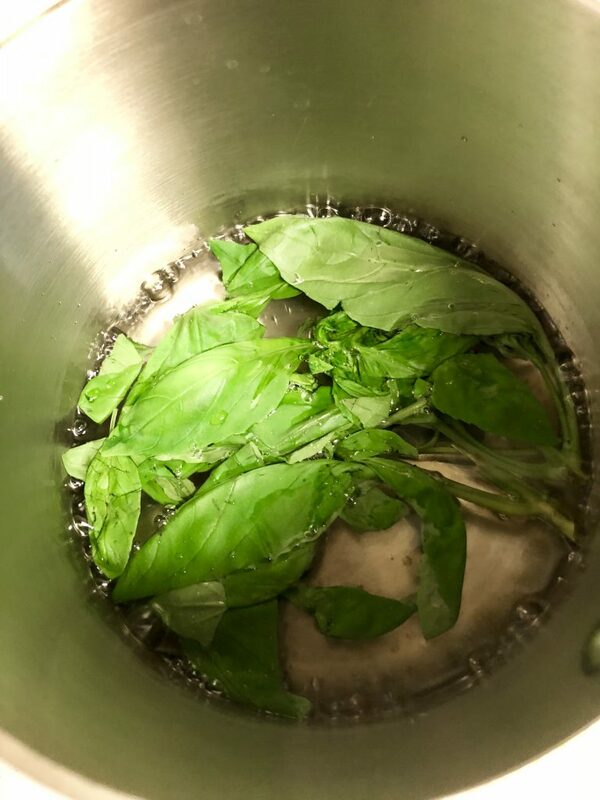 Remove from heat and let the basil continue steeping for 30 minutes. Use a slotted spoon or tongs to remove the basil and discard. If you have any specs in the syrup, you can strain the mixture through a cheesecloth. Otherwise, set it aside to cool completely. 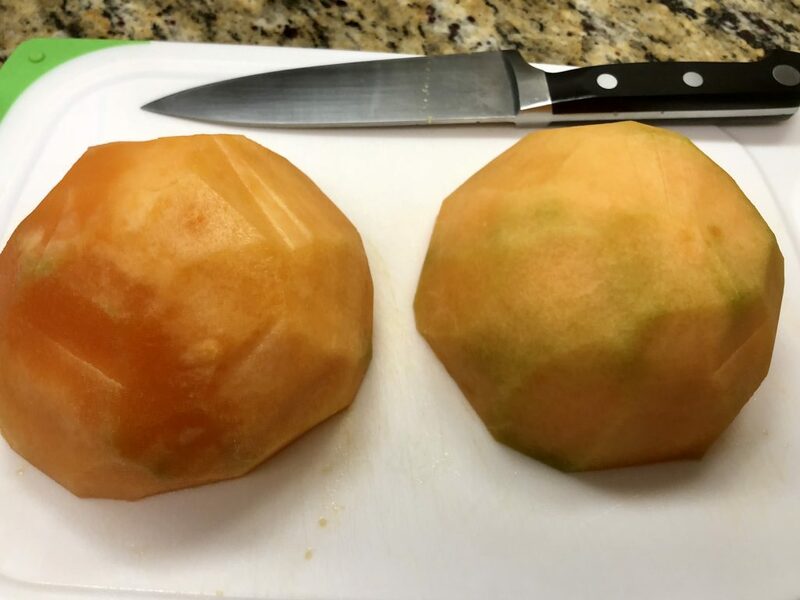 Cut the melon in half, remove the sees and peel or remove rind any way you prefer. I like to use a sharp knife to cut off the rind. 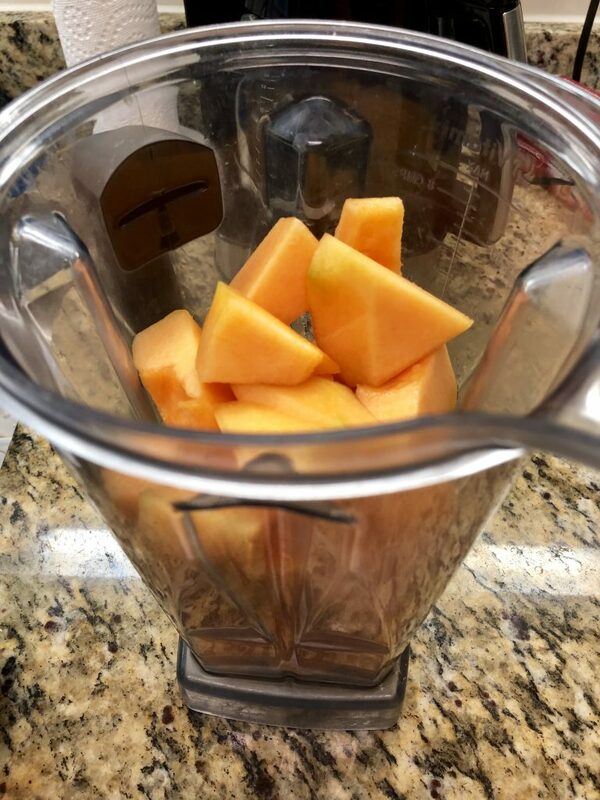 Cut the melon into chunks and put it into a high-speed blender or food processor. Add the basil simple syrup and the lemon juice (a little lemon at a time, tasting as you puree), and blend until smooth. 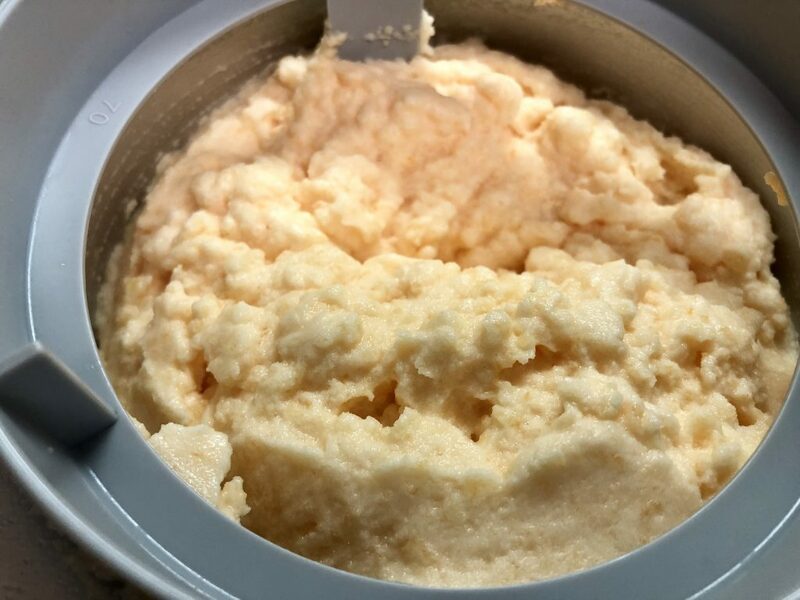 Pour mixture into an ice cream maker and set it to sorbet. It should churn for about 40 minutes. 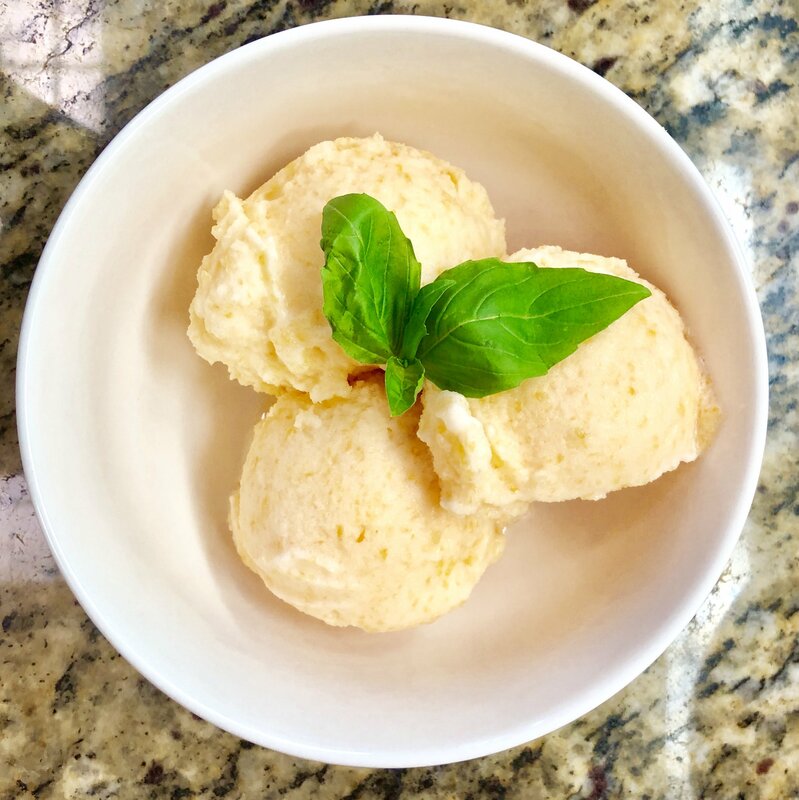 I hope you enjoy this amazingly refreshing Melon Basil Sorbet and happy National Ice Cream Day! Rinse the basil and pat dry. 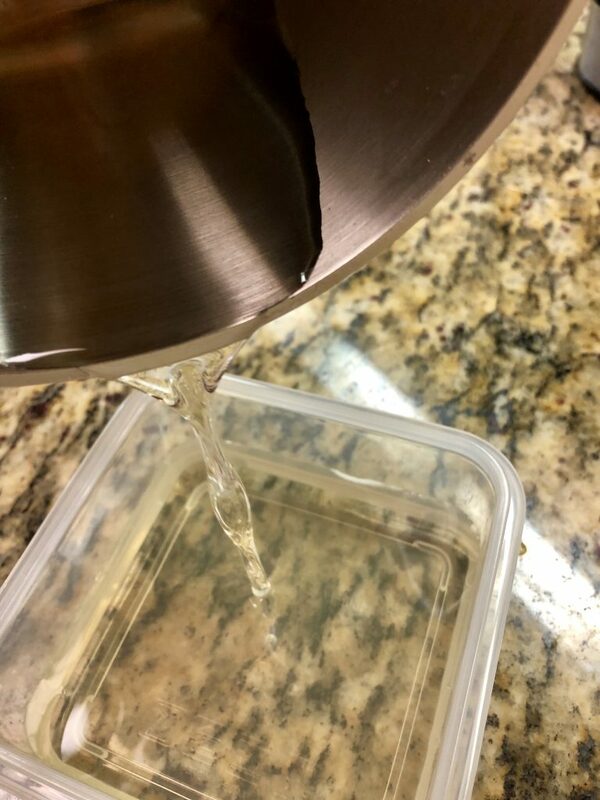 In a small pot, bring the water to a boil. Add the sugar and whisk until the sugar is dissolved. Add the basil and let the mixture boil for 1 minute. 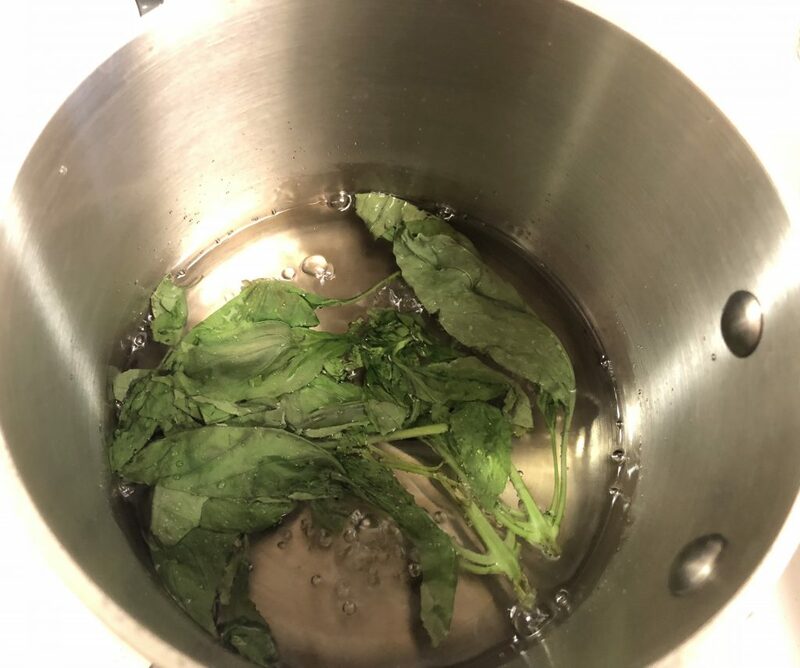 Remove from heat and let the basil continue steeping for 30 minutes. Use a slotted spoon or tongs to remove the basil from the cooled syrup and discard. If you have any specs in the syrup you can strain it through a cheesecloth. Otherwise, set aside to cool completely. 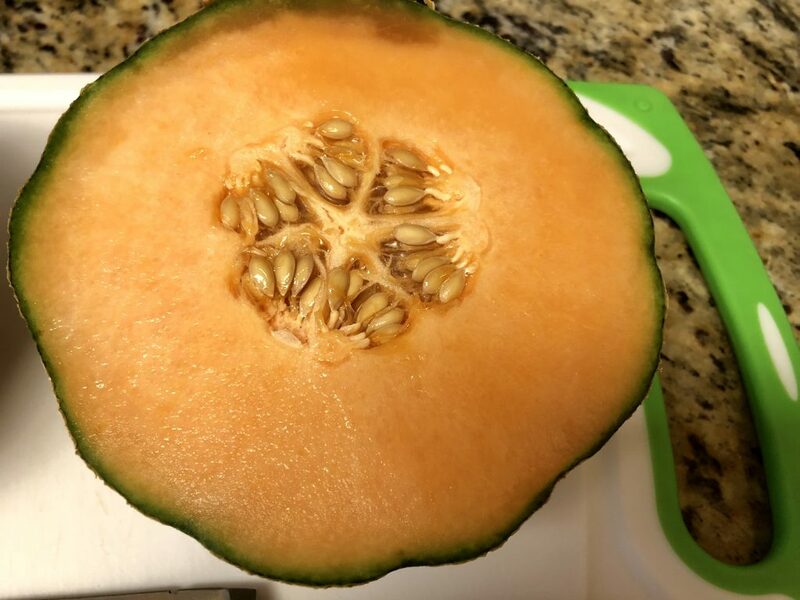 Cut the melon in half, remove seeds, and peel or remove rind any way you prefer. 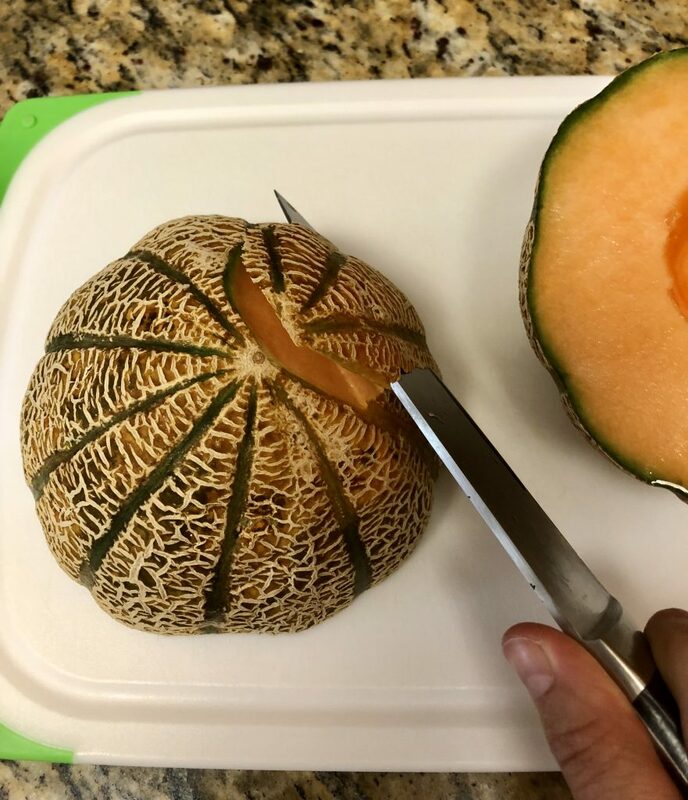 I like to use a sharp knife to cut off the rind. 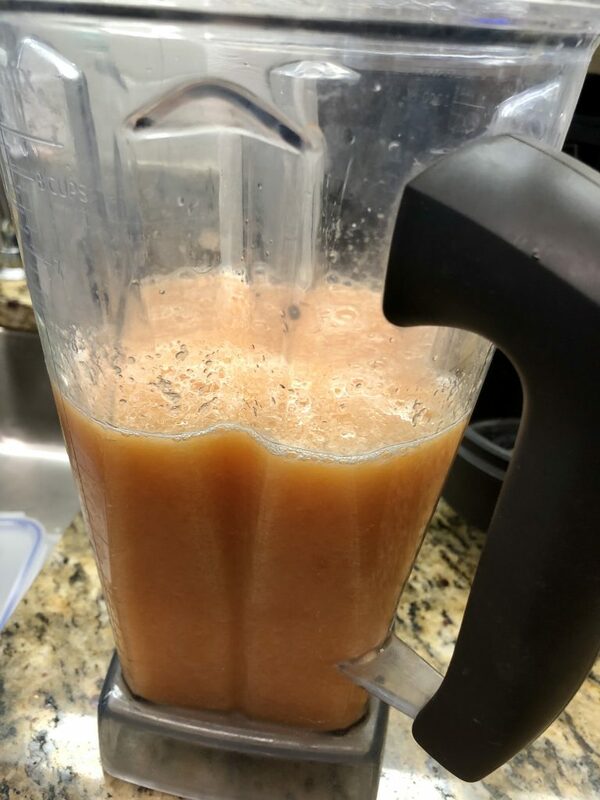 Cut the melon into chunks and put into a high-speed blender or food processor. Add the basil simple syrup and the lemon juice (a little lemon at a time, tasting as you go), and blend until smooth. 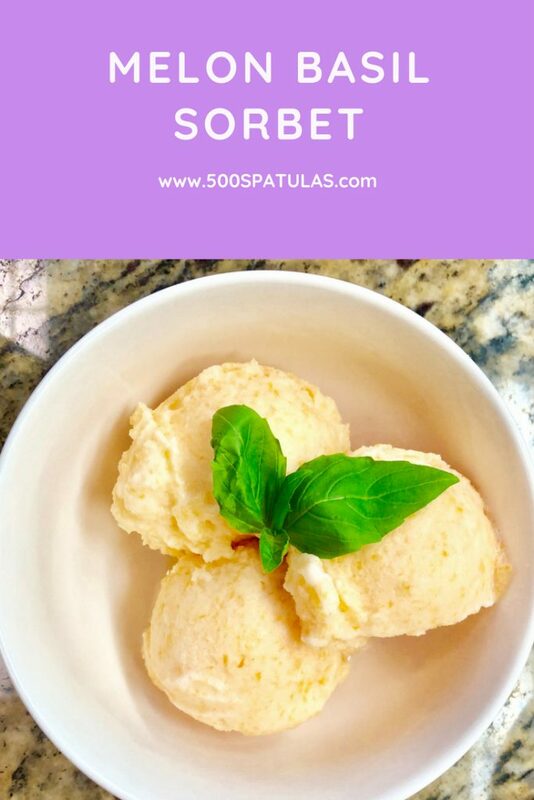 Pour mixture into ice cream maker and set it to sorbet. It should churn for about 40 minutes. Then place the sorbet into a freezer safe container and put into the freezer to finish setting. 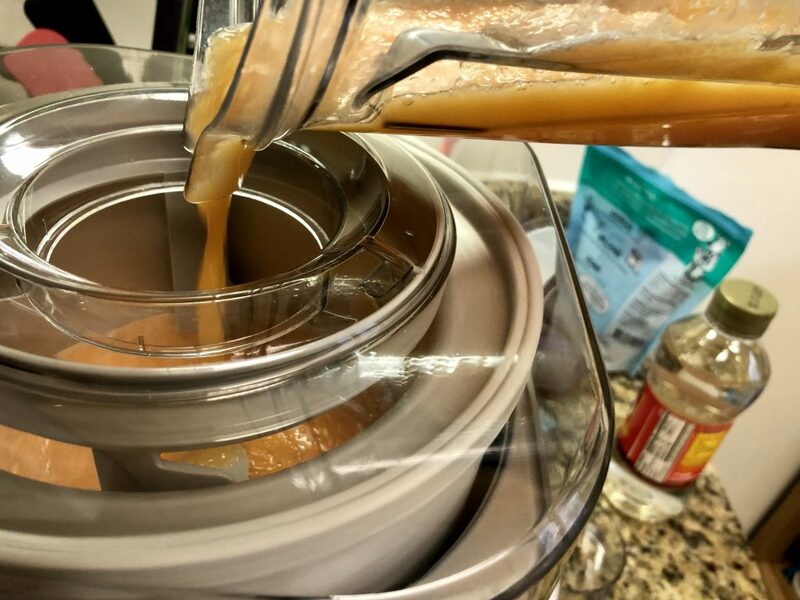 NOTE: If you don't have an ice cream maker, pour the puree into a freezer safe container and freeze for 30 minutes. After 30 minutes, use a fork to mix it up and then smooth back out and return to the freezer. 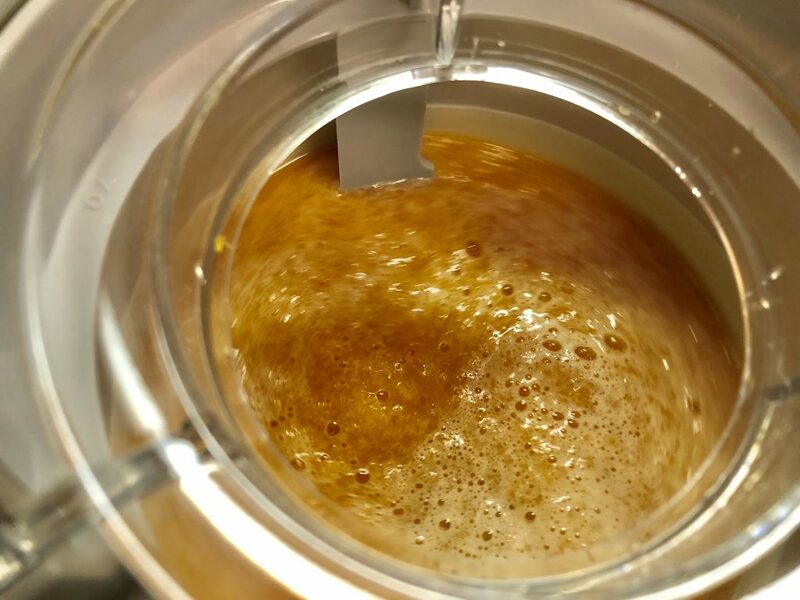 Repeat this process until the mixture is completely frozen.